I love looking to books for inspiration and new ideas, so I was really excited when I was asked by Clotilde to review one of their newest quilting publications, Jump-Start your Quilting. 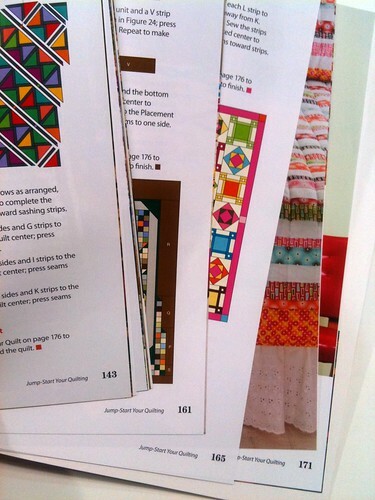 The book contains over forty original sewing projects using precut fabrics. In addition to some really fun quilt patterns, there are patterns for adorable gifts, like a Quilt-As-You-Go Doggie Coat, some beautiful holiday stockings and mantle decorations, and lots of charming household projects like aprons and totes. I was asked to review the High-Rise Quarters quilt. I love the clean modern lines of this pattern which is made using 12 fat quarters plus a little for the border. 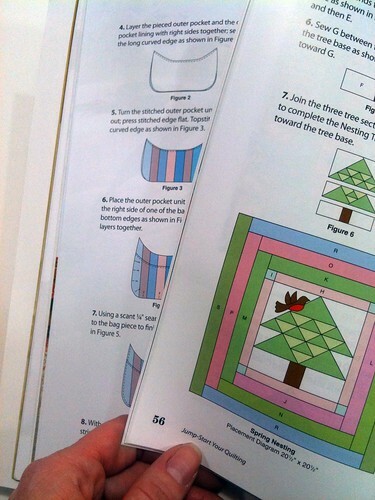 The instructions for every pattern in the book are very well-written, and the High-Rise Quarters pattern is no exception. The book's layout is clean and colorful and every pattern includes a large photograph and plenty of color illustrations to walk you through the construction process. I can't wait to make this High-Rise Quarters pattern, but it's going to have to get in line with the Off Kilter quilt, the Spring Nesting quilt, and the Christmas Fun mantle quilt (all also found in Jump-Start your Quilting) just to name a few! illustrations and clear instructions in this book. 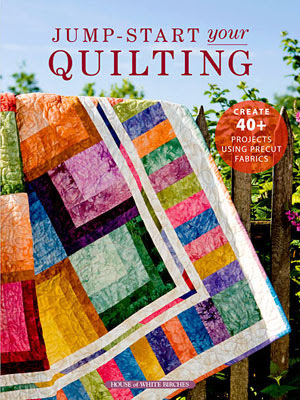 I'm going to love having this book in my quilting library. 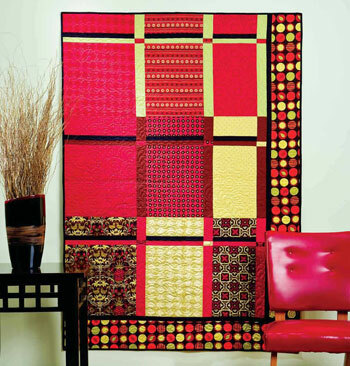 purchase your copy of Jump-Start your Quilting! Would you like to see more of this new book? Check out these other stops on the Jump-Start your Quilting blog tour! The more I see of this book, the more I think I want it! Great job on the review, Meanie! Isn't it fun doing this for Clotilde. I sure have enjoyed it! First time on your blog because I'm following the blog tour to learn about more patterns in the book. Sure looks interesting and a real jump starter book! This book is becoming more intriguing with every stop on the blog tour. Thanks for your great review & insight....It's looking like a definite addition to the library, for sure! Page 171. I want to make a quilt just like that. It looks gorgeous from the little teeny tiny sneak peak you are letting me have. I might just buy the book only for page 171. Oh I really think I need a copy of this book, I will be putting it on my wishlist. Thanks for the review, think I might have to put it in my wish list for hubby to find for Mother's Day. I love this book, too! It’s great to know that you’ve found great inspiration by reading this amazing book. Good luck with your projects! All the best!